Two out of three executive leaders believe their current CRM system is not enough for their future customer engagement needs, according to a recent survey conducted by SAP Hybris. 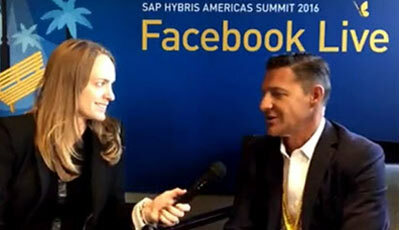 In a Facebook Live session from the SAP Hybris Americas Summit, Volker Hildebrand, Global Vice President of Strategy, SAP Hybris, shared his perspectives on why companies have to look beyond traditional CRM in order to adequately meet the needs for their customers in today’s digital economy. With the evolution of technology, consumers are more connected to information they seek more than ever were before. And because of this, businesses have to understand and innovate based on what their customers want, in real-time. “There’s a paradigm shift from customer relationship management,” said Hildebrand. “[Its]shifting away from managing those relationships towards a customer engagement, where you can really engage with your customers in the moment when it matters to them as opposed to following your internal processes,” said Hildebrand. “What that means is that you got to think beyond the silos of commerce, marketing or service,” he said.